Word is a strange creature was sighted in Fife today. 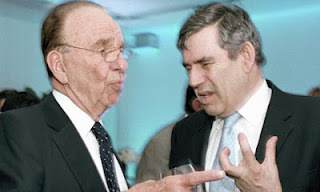 It seems that Gordon Brown surfaced from wherever it is the British Labour Party keeps him these days to do his wee bit for the campaign to preserve the union. He made a speech, apparently. And, I'm told, had certain sections of the media hanging on his every word as if he actually was the great sage that he evidently believes himself to be. I read the speech. What I read was not the reasoned pronouncements of a wise elder statesman but the ill-informed ramblings of a political has-been who is seriously out of touch and very confused. A measure of that confusion is his "twenty questions". Not just the questions themselves and the fact that he needs to ask them, but the mindset that is revealed. Of which more later. First, let's deal with those questions - at least insofar as they make any sense at all as reasonable points of enquiry. The first nine of these questions deal with the matter of the economy. That Brown himself only manages to count eight is, perhaps, an indication of what we are dealing with here. Why will the rest of the UK without any guarantee of a Scottish role set Scottish interest rates? Why will the rest of the UK without any guarantee of a constitutional role for Scotland set the Scottish inflation target? Why will the rest of the UK without any guarantee of a constitutional role for Scotland set Scottish mortgage rates? Why will the rest of the UK and not Scotland decide the Scottish money supply? WHO CHOOSES THE GOVERNOR OF THE BANK THAT DECIDES SCOTTISH INTEREST RATES? Why will the rest of the UK with no constitutional role for Scotland decide who is Governor of the bank that decides Scottish monetary policy? 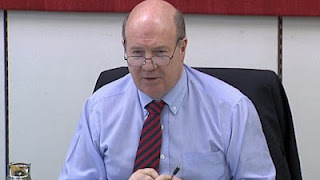 Why will the rest of the UK with no constitutional role for Scotland decide who are the members of the group, the Monetary Policy Committee; that supervises interest rate decisions? Why will England and the rest of the UK be able to demand a fiscal pact that controls Scottish spending? Why will England and the rest of the UK be able to demand a fiscal pact that controls Scottish borrowing? What Brown fails to realise is that all of this is actually only one question. Who decides? And the simple answer is that the people of Scotland decide. This is what Brown, in common with all too many British nationalists, is sadly unable to get his head around. The fact that what is important is that the people of Scotland get to decide who makes all these decisions and more on their behalf. And that can only happen with independence. So long as we remain in the union the decisions will all be made outside Scotland whether we like it or not. Not being as short of vision and shallow of mind as Gordon Brown, I do not see any of these issues as insurmountable obstacles. Basically, what Brown is talking about here is a sterling zone as mooted by the SNP. What he is too blinkered to see is that such a monetary union would have distinct advantages for both Scotland and the rest of the UK (rUK). Granted, such arrangements can be problematic. But they are not necessarily so. If conditions are amenable then all that is required is the goodwill of all the parties to the arrangement. What is telling about Brown's attitude is that he not only regards every problem as insoluble, but he assumes an uncooperative, adversarial attitude on the part of the rUK even to the extent of doing significant harm to both economies. Why? Count that as the first of my questions to Gordon Brown. Why does Brown take it for granted that the government of the rUK would pursue some kind of low-level economic warfare against a neighbouring nation and important ally? What justification is there for assuming, as he does, that the rUK government would go out of its way to make monetary union unworkable? And if Gordon Brown offers an accurate insight into the London government's attitude towards Scotland, why the hell would we want to be in a formal union with them? It's not as if we lack choices. With independence we will have numerous options as regards monetary matters. The sterling zone proposed by the SNP simply happens to be the option with the greatest mutual advantages. That's the difference between the SNP and the British parties. While the latter are looking only for problems, the former are working on pragmatic solutions. British nationalists assess ideas on the basis of the extent to which they can be twisted into a stick with which to beat their political enemies. The SNP and Yes Scotland assess ideas on the basis of what is likely to work best for all concerned. And this pragmatism applies in other areas. What happens if the Scottish Parliament has a different view on the line of succession for the Monarchy? Note again the default assumption that the rUK government would be unable or unwilling to negotiate a compromise with the government of Scotland. It is becoming easier and easier to see why Brown is such a failure as a politician. The policy of retaining the monarchy is best regarded as one of those pragmatic solutions mentioned earlier. It is convenient. It offers an acceptable arrangement. 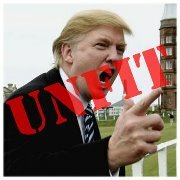 One that most people in Scotland can live with - including republicans like myself. But this acceptance of the monarchy is only possible because of the way that it is viewed. The royals are not generally regarded in Scotland with the same grovelling, fawning reverence that is common among British nationalists. The idea of a divinely ordained monarch is treated with deep suspicion by most and is anathema to many. Not to put too fine a point on it, the monarchy is disposable. As with the proposed monetary union, if the arrangement no longer suits us, we will make other arrangements. That's kind of the point of independence. So! Another question for Mr Brown. What happens NOW if the Scottish Parliament has a different view to Westminster on the line of succession for the monarchy? Like most, if not all, of Brown's questions this one can just as meaningfully be asked of a situation where Scotland remains in the union as with independence. The difference is that with independence comes choice. This does not occur to Brown and his ilk for the simple reason that he would never think to question the righteousness and efficacy of the union. Another thing that most, if not all, these questions have in common is the fact that, contrary to Brown's dishonest assertion, they have been answered. Repeatedly! When he and other British nationalists say that questions have not been answered what they actually mean is that they did not like the answer given. Having no counter-argument, it is easier just to pretend that there was no argument in the first place. Brown's next two question provide glaring examples. On what basis do they claim we have an automatic right to membership of the EU? On what basis do they claim that if Scotland joins the EU we do not also have to commit that we are obliged to join the Euro? Generously assuming that Brown is not being disingenuous and that he truly has not seen or heard any of the countless explications of this issue, then my point about him being out of touch stands proven beyond doubt. If, as is evident, he is determined not to hear the answers, what might be the point of answering the questions - again! Suffice it to say only that, once again, the answer derives from the pragmatic approach to issues that I spoke of earlier. The two successor state scenario gains its political certainty status not least from that fact that neither of the alternatives is in any way credible. If Brown or any other British nationalist believes differently, let them argue the case that the EU would act irrationally against its own interests. 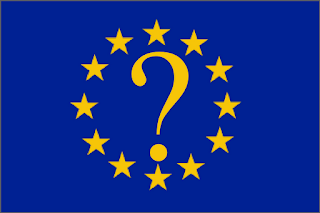 What these questions about EU membership evidence, apart from a pathological inability to attend to answers, is the same mindset referred to in relation to the matter of monetary union. The mindset which regards Scotland's aspiration to independence as an affront to the British state which must be punished. This, combined with notions of British exceptionalism, leads the intellectually impaired Britnat to the quite ludicrous assumption that existing member states of the EU will subordinate their own interests to aiding and abetting rUK in pursuing vengeance against the Scottish upstarts. Perhaps the best that can be said of such thinking is that it is grossly immature. Here's the question. 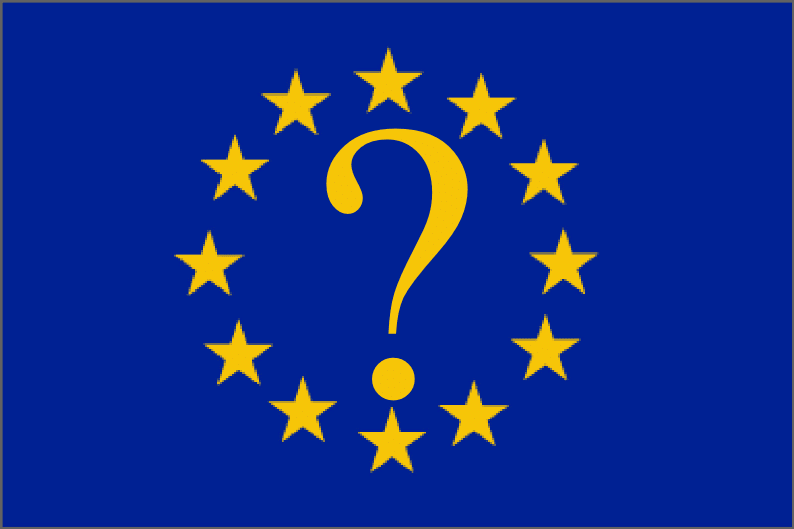 Why would the EU chose anything other than the two successor state option? Are their automatic rights of citizenship that come from being an English resident in Scotland? This one falls under the heading of pointless. 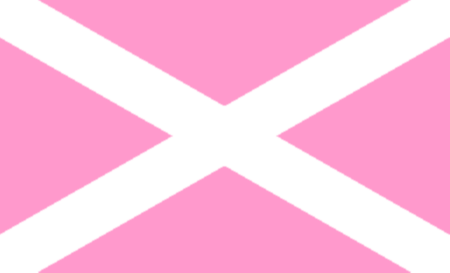 There is no ethnic component to Scotland's independence movement. 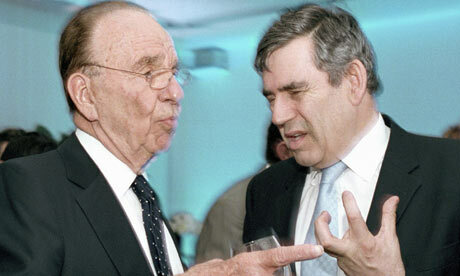 If Brown doesn't understand that then the phrase "out of touch" may be wholly inadequate to describe his condition. Quite apart from anything else, we are all EU citizens. For most practical purposes, that's enough. In fact, I can think of no circumstances in which being ethnically English in an independent Scotland would give rise to any problems whatever. Unless, of course, Brown envisages the government in England contriving such problems. So here is another question for Brown. Does Brown expect that the government of the rUK will implement legislation based on some kind of ethnic discrimination? Will the SNP accept that NATO is not just a military alliance generally but a nuclear weapons alliance with obligations on its members? It's difficult not to come right out and call this question stupid. Because that's what it is. Very, very stupid! Is Brown genuinely unaware of the debate that has been going on in the SNP for months now? A debate that eventually went to the party conference where delegates voted to change SNP policy? Does he really not know that two SNP MSPs resigned their party membership over the very fact that the SNP had acknowledged NATO as a nuclear-armed alliance? Where does this guy keep his head in between speaking engagements? In a jar!? The SNP's position, which even those who disagree at least understand, is that it is possible to be a member of NATO whilst maintaining a non-nuclear stance. This position necessarily implies acknowledgement of NATO's nuclear capability. But it also acknowledges the very evident fact that the vast majority of NATO members do not possess nuclear weapons and actively oppose their development and deployment. What basis does Brown have for supposing that Scotland will be a singular exception among all the non-nuclear members of NATO? Can it be confirmed that there is more public spending per head in Scotland than in England? No. At least, not to the satisfaction of anyone who does not unthinkingly accept whatever figures the UK government throws at them. This issue is considerably more complex than Brown's question allows. It is, however, a matter that could be resolved if the UK government would simply "open up the books". As they will be required to do anyway when the referendum returns a YES vote. That's not up to Brown, of course, as he is something of a nonentity in the Westminster village these days. But it does prompt another little question of my own. Can it be confirmed that current or forecast public spending is less affordable in an independent Scotland than with Scotland in the UK? What Brown fails to acknowledge is that public spending is in part a necessity - in which case it makes no difference whether we are in or out of the union (Unless he wants to admit that Westminster is refusing money for essential services. ); and in part discretionary - in which case it is in accordance with the values and priorities of Scotland's people as determined by democratic means. To state it simply, if we in Scotland apply more of our resources to health-care it is because we make an informed choice so to do. Nobody has a right to deny us that choice. Another question. Can it be confirmed that, in the event of a NO vote in the referendum, the UK government will not seek to restrict the powers of the Scottish Parliament to make spending decisions in accordance with the wishes of Scotland's people? Can it be confirmed that no guarantee can be given that Scottish pensions will not be lower than English pensions? Can it be confirmed that no guarantee can be given that Scottish pension will not be HIGHER than English pensions? Like so much of the anti-independence case this question is premised on the assumption that the UK is a bastion of economic security for its citizens. It patently is not. And few people bear more personal responsibility for this than Gordon Brown. If people in Scotland are concerned about their pensions then, on the basis of historical evidence, they should be clamouring to get out of the union as quickly as possible. For Gordon Brown, of all people, to use fear of insecurity arising from the fiscal incompetence of government as a propaganda weapon is sickening. The man has absolutely no shame! The rest of Brown's questions are in the same brazenly outrageous vein and deserve the same indignant response. Let's be clear. None of Brown's questions are asked in a genuine spirit of inquiry with the intention of furthering the debate on Scotland's constitutional future. All are asked in the characteristically negative spirit of the British nationalists determined to preserve the British state at whatever cost to the people of Scotland or other parts of these islands. The intention is not to cast light upon facts, but to cast us all into the darkness of doubt and fear. The purpose is not to promote understanding, but to cause confusion. The aim is not to clarify, but to obfuscate. It is no part of Brown's design to effect enlightened awareness of the issues. His project is to obscure those issues behind a veil of uncertainty and contrived complexity and thus undermine the confidence that people are entitled to have in their own capacities. In the final analysis, there is one simple answer to all the so-called "unanswered questions" touted by Brown and the rest. Scotland will manage its affairs at least as well as any other nation. No more is required. 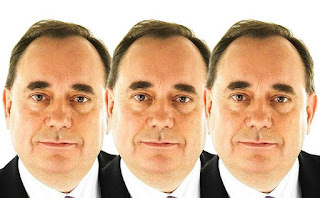 First Minister Alex Salmond - credibility intact. Funny how things turn out. Even an apparently ploddingly predictable script can have some surprising plot twists. Events appear to be heading inexorably in one direction, but end up in a different place altogether. Seems like little more than a week ago we were being assured by the braying donkeys of the unionist media that the SNP's position on post-independence European Union membership lay in tatters while First Minister Alex Salmond was fatally wounded, his political survival on a precariously shoogly peg, and the referendum on Scotland's independence surely lost to the forces of British nationalism. The arguments for the two successor state scenario, favoured by the SNP and Yes Scotland among others, look stronger than ever having received the unequivocal backing of a number of authoritative individuals, including Dr James Ker-Lindsay and Graham Avery. 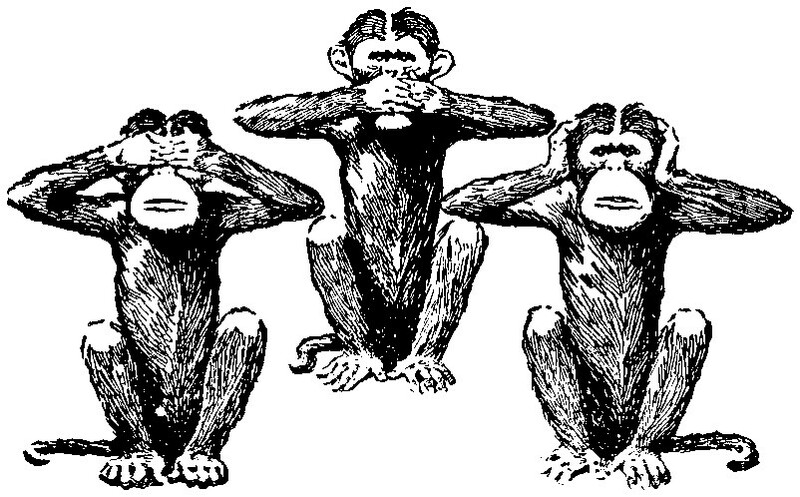 The bare-faced hypocrisy of the anti-independence campaign has been exposed with the revelation that London has refused Freedom of Information (FoI) requests for its legal advice on exactly the same grounds for which the Scottish government has been so viciously castigated. And after squawking loud and long about how crucial the views of the EU are to the debate, the UK government petulantly declines an offer from the European Commission (EC) to give its view if this is requested by a member state. With some of the more perverse commentators somehow managing to blame Alex Salmond for the UK government's immature and cowardly intransigence! And what of the supposedly bowed and bloodied Salmond? Did he slink off to some corner to lick his wounds and die as per the gleeful predictions of the more excitable pundits? Far from it! The man seems thoroughly invigorated by the ineffectual assaults of his enemies. 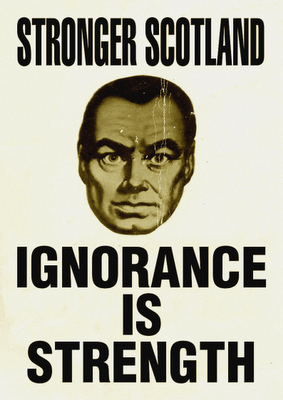 The British parties at Holyrood tried to waylay him by staging a "debate" intended to give all the unionist "big hitters" an opportunity to rehearse their extensive repertoire of smears and calumnies against the man they live to hate. But it all turned into a decidedly soggy squib as Salmond went serenely on about his First Ministerly duties leaving his eminently capable deputy, Nicola Sturgeon, the task of repelling what turned out to be a far from fearful onslaught. Even with the target right in front of them at First Minister's Questions on Thursday the combined forces of the Tory/Labour/LibDem alliance couldn't create so much as a crease in Salmond's calm composure. 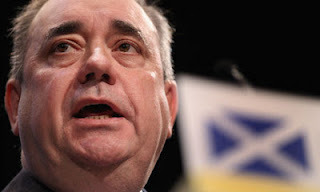 By this time they were mostly backing-off from specific and explicit accusations of dishonesty on Salmond's part, resorting instead to vague and generalised allegations of "untrustworthiness" in the fervent but ultimately forlorn hope that they could get some of that malicious mud to stick. They gave it their best shot - and they failed to make any impact at all. More damage was done to the Better Together cabal than to the independence campaign with bitter recriminations and squabbling over who was most to blame for the fact that the proverbial coo's erse remained blithely un-banjoed. Attention has now turned to a different prey. Having belatedly and rather foolishly demanded an inquiry into the First Minister's conduct regarding "legal advice" and FoI requests, the unionists now realise that any impartial examination of the facts is likely to expose the vacuous maliciousness of the allegations. In a desperate effort to minimise the anticipated embarrassment they have set about yet another smear campaign, this time with the aim of undermining the credibility of the inquiry and impugning the integrity of Sir David Bell, the academic administrator appointed to lead the independent investigation. In this disreputable venture the anti-independence mob are, as would be expected, enthusiastically aided and abetted by their friends in the media. But here too, bitter disappointment over the total failure to damage Salmond's credibility and standing with the Scottish people is palpable - with slavering, growling attack-dogs like Tom Peterkin reduced to cowering, yapping pups. All very different from the way things were supposed to play out. So different, in fact, that one might be forgiven for thinking that, whatever tall tales his opponents may tell, Alex Salmond has the ability to write his own alternative endings. 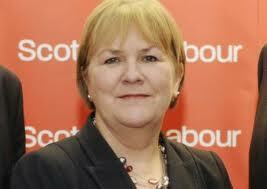 Who does Lamont imagine she is fooling with her "devolution commission"? What is the point of it? If "Scottish" Labour was serious about meaningful additional powers for the Scottish Parliament then they have had ample opportunity in recent years to both formulate a policy and implement the measures. They did neither. Instead, they colluded with their Tory allies in the rigged Calman fiasco. And then did everything they could to elide or dilute such measures as did find their way into the legislation. I had me a little Twitter-spat last night with "Scottish" Labour MSP and Shadow Cabinet Secretary for Health, Jackie Baillie. Nothing remarkable in that, I hear you say. And it's true that Ms Baillie is one of the more irksome nonentities populating the seats at Holyrood which should be occupied by the opposition. But I surprised myself by the degree to which I was offended and annoyed by her interventions. In general, I regard politics as a pragmatic business in which emotions have at most a peripheral role. I tend not to get worked up about things, preferring reasoned analysis to emotional reaction. I think with my neurones and not my hormones. 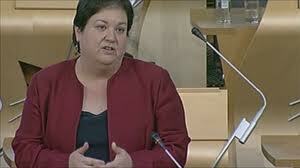 So what did Jackie Baillie say to push my buttons? It was perhaps predictable that, after the initial shock of Lamont's precipitous lurch to the right, it wouldn't be long before the unionist media dutifully fell into line to protect "one of their own". The line now is to portray Lamont's speech as an utterly reasonable questioning of assumptions about universal benefits rather than a dramatic abandonment of social democracy by the "Scottish" Labour leadership. Across the unionist media today, even as "Scottish" Labour furiously back-pedals on virtually every one of Lamont's pronouncements, we are being urged to read less into her statements rather than more. Which must have taken a major effort on the part of journalists more accustomed to seeking the most sensational interpretation possible - even at the cost of an honest and accurate representation of what has been said. For those of us committed to Scotland, its people and its democratic institutions, there surely can be no spectacle more unedifying than the circus that is Scottish Questions at Westminster. An event which has increasingly come to be no more than an opportunity for MPs - especially British Labour MPs from constituencies in Scotland - to perform tricks for their English parliamentary colleagues and play up to what they imagine to be the petty prejudices of their real constituency - Middle England. It is an occasion when we tend to see paraded all the rancid, intellect-rotting resentment that "Scottish" Labour now has in place of an ethos and the obsessive, all-consuming hatred of the Scottish National Party which has become its sorry substitute for a political platform. Even those who have grown accustomed to Ian Smart's increasingly eccentric ways will be wondering what the hell is all this stuff about Trafalgar Day and the "English yoke" in his latest offering (Heads of Oak)? This is not the language of Scotland's civic nationalism. It is certainly not the language of reasoned commentary. It is the language of rabid British nationalism and an obsessive hatred whose corrosive effects on the intellect are all too apparent in Ian Smart's increasingly demented ravings. At the core of this there is, of course, his own personal conspiracy theory. A fixation which he cossets like Gollum with his "Precious", jealously guarding the inane notion of a Salmondian plot to abandon the referendum from the terrifying onslaughts of a reality with which he now has only most tenuous of relationships. Having recently voted for Poor Old Cockers in a "Madman of the Year" poll only to see him outstripped by Michael Kelly (with Ian Smart an inexplicably distant third) I was hoping his latest piece for the The Telegraph (Alex Salmond is surrendering to David Cameron) would prove to be an effort to regain what some still see as his rightful place in the pantheon of brainsick Britnats. But Poor Old Cockers has let himself down badly here. Which is not to say that this latest emanation from his muddled mind is lacking in inanity and confusion. 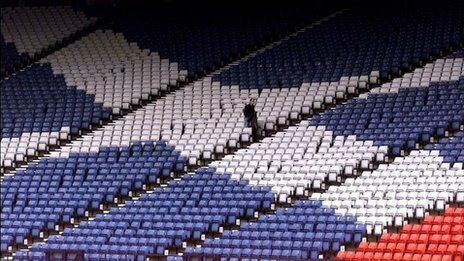 It's just that he's up against such strong competition from challengers who can come up with such stunningly original idiocies as the idea that Alex Salmond will not make any announcements about the referendum during the SNP conference because he has been frightened off by something called "Trafalgar Day". In a fallacy-riddled article for Tory Hoose (Indy ref voting age: are the kids United? ), a certain Alex Shilling waxes dismissive of the idea that the voting age should be lowered to sixteen for the forthcoming referendum on Scotland's constitutional status - and, presumably, more generally. I dealt with some of the more obvious nonsense of this piece in my comments, but I can't be sure that my observations will survive the heavy-handed moderation which seems to be typical of unionist websites where even the mildest disagreement tends to be labelled "abusive". And the issue is, in my view, important enough to warrant a more detailed examination. If we truly appreciate the necessity to a functioning democracy of maximum participation, then our default position must be that everyone is entitled. to vote. And I do mean everyone. That must be our starting point. Rather than arguing about who should be included in the franchise, the onus should be on those who wish to exclude certain groups to make a strong, rational case for doing so. In a previous article (Scotland & NATO: The real debate II) I dismissed the rather quaint notion that the process of determining SNP policy should opened up to people and groups outwith the party. I also sought to emphasise the distinction between SNP policy and the position of the nation of Scotland after independence. It is essential that people make this distinction. A vote for independence in 2014 is not a vote for any particular policy on any given issue. It is solely and exclusively a vote to determine the will of the people of Scotland regarding the constitutional status of Scotland. This is sufficiently important that the anti-independence parties and their friends in the media put a lot of effort into blurring the distinction. They seek to conflate the SNP and the cause of independence simply because it is easier to attack politicians and policies than it is to denigrate a perfectly natural and entirely worthy aspiration. 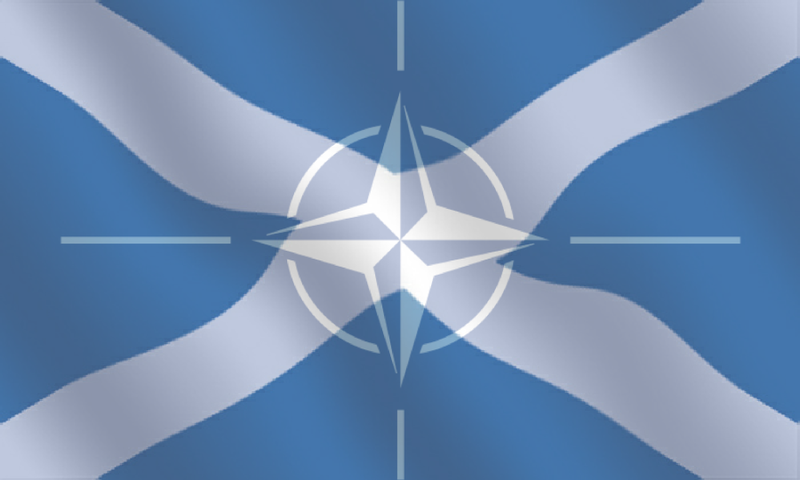 Back in April I wrote an article about Scotland and NATO which was prompted by a spate of almost entirely vexatious and mischievous media speculation concerning a review of SNP policy on NATO membership. My point then was that, should there be such a review, it could only sensibly be discussed on the basis of what was actually proposed by way of change rather than what it suited the anti-independence/anti-SNP media to portray as the party leadership's intentions. Intentions that we have only recently been made aware of with the publication of Angus Robertson's proposal that will be put to the SNP Annual Conference in October. 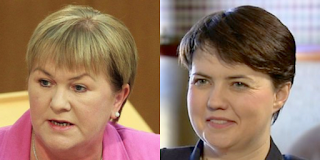 Cracks in the unionist façade? Surely one of the more significant recent developments in Scotland's independence referendum campaign has been the rise to prominence of the Labour for Independence group founded by Allan Grogan. A measure of just how significant is the shrill vehemence of "Scottish" Labour's insistence that the group is of no significance at all. But we have to suspect that this dismissal has more to do with blinkered wishful thinking than any reasoned assessment of the potential implications of this rejection of the party line. Such dissent is the seed from which revolutions grow. And the Labour Party has historically proved to be fertile ground for a rich crop of factionalism. At least until it was struck by the devastating blight of the New Labour project. Observers of the Scottish political scene have long been aware that support for independence crossed party lines. It must be so because such fundamental constitutional issues transcend party politics. Neither position on the question of independence is inherently incompatible with the contrasting world-views which inform the left-right political spectrum. So it should not be too surprising to find support for independence among Labour or even Conservative voters. Independence offers no necessary impediment to the pursuit of any political agenda. No core principles or values of any mainstream ideology need be abandoned in order to embrace Scotland's civic nationalism. Support for, or opposition to independence is a choice which can be made irrespective of where an individual's political compass points. It is a choice which certainly should not be constrained by mere partisan tribalism. Mighty has been the Twitterage over the last twenty-four hours on the subject of the Scottish Government's efforts to bring our marriage laws into the age of enlightenment. Mighty and, for the most part, angry. All because there was a "delay" in announcing the results of the cabinet's deliberations. Not really a delay, of course. Because the eagerly anticipated announcement was promised by the end of July. But it seems that some people simply can't wait a few days for what, if the Scottish Government do as expected, will be a historic moment for Scotland as another anachronistic social division is swept away. There was the entirely predictable, and patently contrived anger of the SNP's opponents. The Labour/Tory/LibDem coalition approach to any issue is first and foremost to find some way of turning into a stick with which to beat Alex Salmond. They will perform the most amazing contortions of logic and semantics in the process and are not above simply lying when this suits their purposes. The issue itself, whether it be employment, the economy or equal marriage, is always subordinate to political point-scoring - even when, as with equal marriage rights, there is almost complete agreement with the SNP. The consequence of this is that less and less attention is paid to the rantings of the old parties and their tame hacks in the Scottish media. A leader article in The Scotsman today portentously declares in its headline that a UK vote on leaving EU could scupper SNP plans. Which is a bit odd given that the SNP doesn't get much more than a passing mention in the final paragraph. 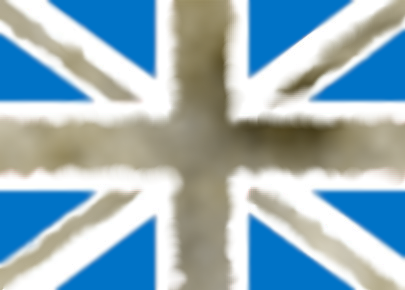 Perhaps not so strange, however, when one takes account of the fact that the rabidly British nationalist Scotsman sees portents of calamity for the independence cause in the early blooming of snowdrops and the shapes of clouds. So should we be taking this seriously? Jeremiads concerning the imminent demise of Scotland's national party are as much part of The Scotsman's schtick as the trade-mark "Salmond accused...!" headline. There is, as might be expected, much talk of what a YES vote in the coming independence referendum would mean for Scotland. But we hear very little discussion of what might be the implications of a NO vote. There are, I would suggest, two reasons for this. Firstly, the SNP and the pro-independence campaign have assiduously sought to present an entirely positive case - rightly eschewing the grindingly negative smear attempts and scare-stories that have thus far characterised the largest part of the anti-independence effort. Dwelling on the potential deleterious consequences of a NO vote simply doesn't fit with the tenor of the independence campaign. 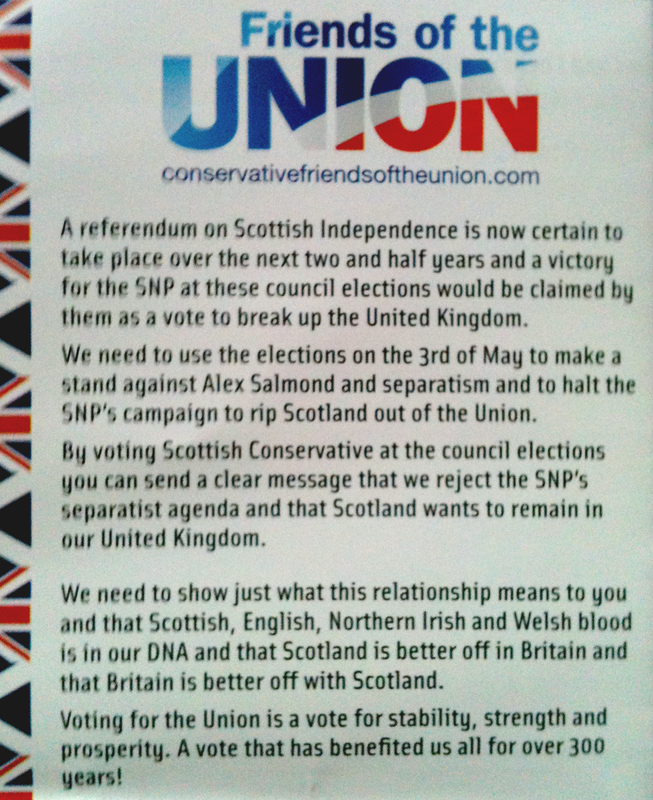 Secondly, the unionist campaign simply doesn't have an alternative vision for Scotland. Discounting a handful of eccentrics - including David Cameron's benighted deputy in Scotland, Ruth Davidson - there is all but universal agreement that the constitutional status quo is totally untenable. But there is no meaningful effort to spell out what voting to remain in the UK would entail. Here's a little thing I learned a while ago. If outcomes conflict with your expectations, first question your expectations. The default human reaction tends to be to question the outcome and/or the process leading to it. People are naturally disinclined to query their own assumptions and preconceptions. It takes a conscious effort. That effort is an essential component of analytical thinking. And there's not a lot of that around. To illustrate the point we might do worse than look at reactions to Alex Salmond's position regarding a "second question" on the independence referendum ballot. 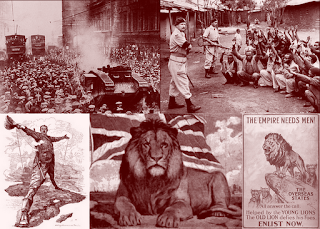 Britishness - a redundant concept? Je n'ai pas besoin de cette hypothèse. Laplace was, of course, referring to the redundancy of any deity in relation to his mathematical explanations of celestial mechanics. But it occurs to me that the sentiment applies just as aptly to my own attitude to the matter of Britishness in relation to my personal identity. Quite simply, I have no need of that hypothesis. The famous words of the French mathematician and astronomer came to mind a while back as I read a piece by Kenny Farquharson in Scotland on Sunday that actually managed to be thought-provoking - (Cultural revolution as SNP learns to love the Brits) A piece which, in turn, prompted me to revisit Pete Wishart's offering on the subject of Britishness which received wide circulation, and a not entirely positive reaction, back in July 2011 - (Proud to be British in an independent Scotland). This is everything I have to say about yon royal thingy. Alan Massie tends to be the voice of reason in all matters and at all times. But commendable as his reasonableness may be I fear he may have allowed it to stray into the realm of naivety with his article today in The Scotsman (Yes or No, we all want what’s best for Scotland). Massie's appeal for good-humour, fairness and moderation from all involved in the referendum campaign is undoubtedly worthy. But I am surely not alone in observing that his entreaty comes a bit late. That ship has well and truly sailed. Many will note the heavy irony of the fact that this appeal comes to us courtesy of a newspaper that has come to be synonymous with blatant bias and infamous for some of the more reprehensible smear tactics of the anti-independence propaganda effort. Is this not the same rag that quite unashamedly rigged its own online poll because it contradicted the "evidence" of the failed UK consultation on the referendum? Just an example of the dirty tricks already being deployed by those desperate to preserve the British state at any cost to the people of Scotland. There's a rather curious little piece in the online edition of The Scotsman today. Don't get too excited! It's not an apology for being such a shameless unionist propaganda rag with arguably the worst newspaper website in the world. It's this - Questions raised about alternative currency for Scots. At first glance it appears to be another contribution to the referendum debate from Scottish Green MSP, Patrick Harvie. 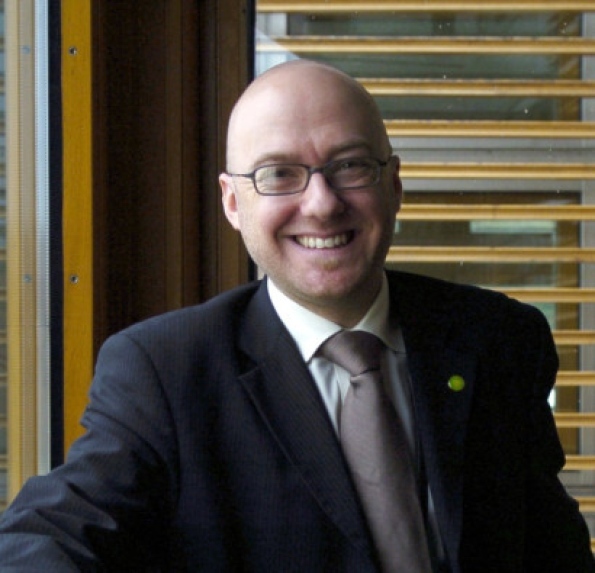 The unwary reader is lured in by Harvie's impish grin (left) and the promise of some more of the inspirational good sense that he has been talking since becoming the de facto voice of the YES campaign. 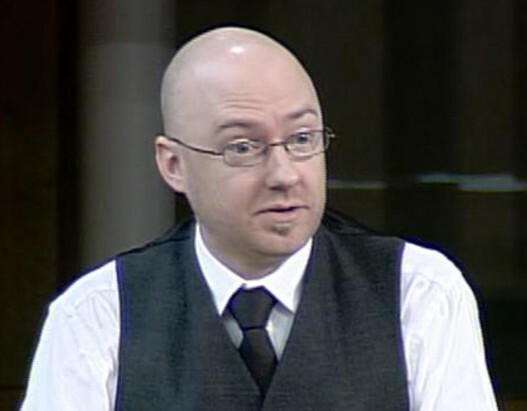 It is then that, to our dismay and alarm, we discover that Harvie makes only a brief appearance before the bulk of the piece is given over to yet another rancid rant from the shrill and far from impish Maggie Curran. 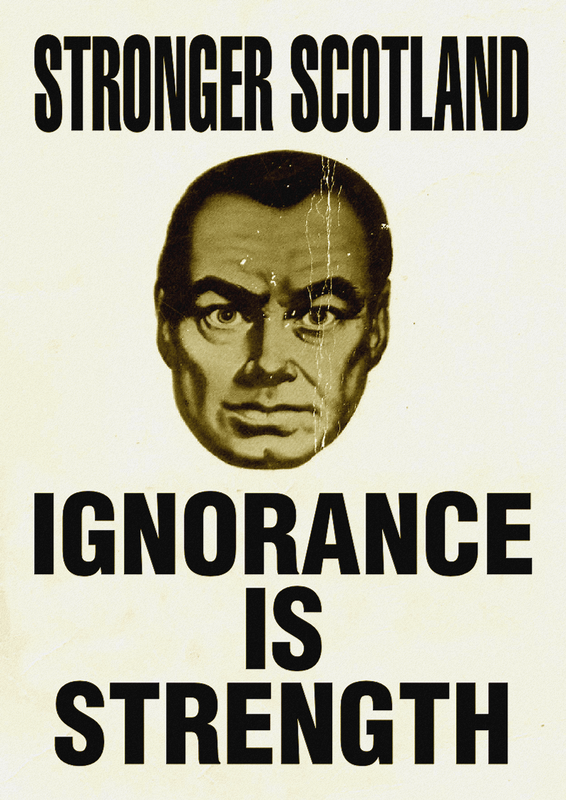 I notice that on Twitter there are a few people apparently keen to publicise the fact that they didn't watch the "Big Debate" on BBC1 Scotland last night. I did. And I find myself feeling a bit envious of those who didn't. It wasn't all that big and it sure as hell wasn't a debate. 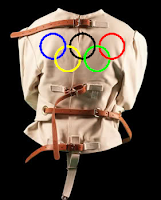 The ringmaster was Isabel Fraser and taking part were Patrick Harvie of the Scottish Greens; Anas Sarwar for Labour; SNP Deputy Leader, Nicola Sturgeon; and Ruth Davidson embarrassing herself on behalf of the Scottish Tories - many of whom would wake up this morning sore from cringing. And, of course, the real stars of the show, the live audience. Of which more later. Amongst the dross that littered today's newspapers as they vied with each other to present the most negatively biased perspective on the launch of the referendum Yes campaign, there was one piece which stood out as being, if not a gem of political analysis, then at least a shiny bauble. Writing in The Herald, Ian Bell provides a timely reminder that what we are being offered in the forthcoming referendum is A vote for independence, not for Salmond's policies. 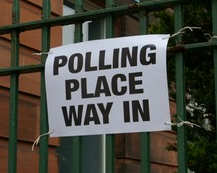 A referendum, by definition, is not a device for deciding multiple policies. An independence referendum resolves one issue and one issue alone: who elects the next government. 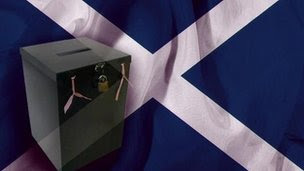 In Scotland’s case, the referendum will determine whether from that point on it’s the people of Scotland who get to choose Scotland’s government, or (as at present) the people of England, Scotland, Northern Ireland and Wales. But the policies of that government – and every one that follows it – will be decided by regular elections. ...a plebiscite is not a General Election. This vote, when it comes, will settle only one issue. The important point is that in 2014 we won't be voting on, for example, an independent Scotland's relationship, if any, with the monarchy. We won't be deciding whether we can or should remain within Nato or the sterling area. The referendum is about the right to choose, not about the particular choices contained within anyone's "vision" of self-determination. We've had the big media launch of the referendum campaign and, let's be honest, it wasn't all it might have been. Don't get me wrong! I'm not about to resort to the kind of sneering, carping, pantomime-cynical negativity that pervades the press. The general response of the mainstream media to yesterday's event has been as pitifully puerile as it was tiresomely predictable. You could pretty much pick an article at random in order to illustrate the point. But David Torrance's bitter little diatribe in The Scotsman is fairly typical. 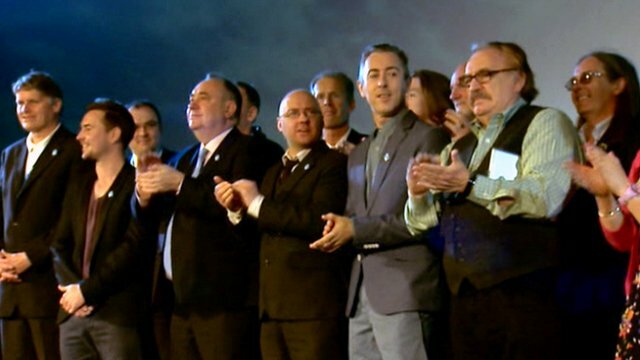 (Amateur hour at Yes campaign launch). This is a man who is rapidly becoming almost a caricature of the bilious, bleating British nationalist naysayer. Alan "Poor Old Cockers" Cochrane had better look to his laurels. There's a potential new self-appointed anti-independence ranter-in-chief loitering in the wings. Here's the campaign! Where's the debate? I write this on the day that sees the launch of the Yes Scotland campaign marking the start of the effort to secure a yes vote in the hard-won referendum to decide Scotland's constitutional future. Like the arrival of the minority SNP government in 2007 and the stunning election victory a little over a year ago, today marks a very real milestone in the history of our nation. 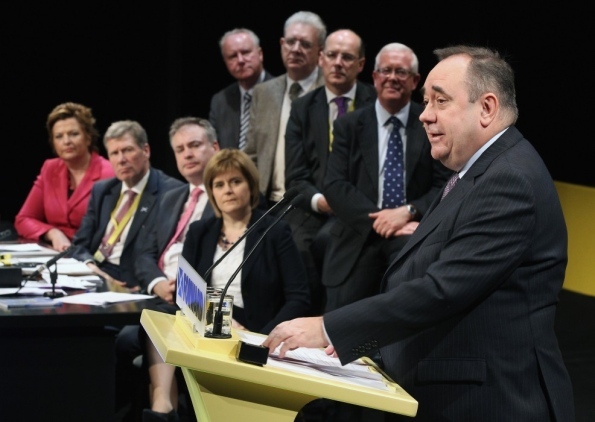 As I write my mind goes back to another significant occasion - the SNP Conference in October 2011 when Alex Salmond declared that the SNP would, "campaign full square for independence in the coming referendum". I knew, of course, that there was going to be a referendum. Among the many things signalled by the result of the May 2011 election was the end of the decades-long Labour/Tory/LibDem fight to deny the people of Scotland a say in the matter of their country's constitutional status. But it was at Inverness last October when the reality of the referendum was truly brought home to me. The past week has been a busy time for the priesthood of political punditry as they dutifully descended upon the eviscerated corpse of Scotland's local elections to solemnly scrabble about in the statistical entrails seeking signs and portents. Some of these seers sought that metaphorical gobbet of goat's guts that would allow them to declare a definitive victor in the electoral contest. The vagaries and vagueness of the voting system meant that various votaries were able to make diverse pronouncements in the matter with equal conviction and broadly equivalent plausibility. 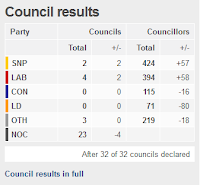 The arithmetic very much favoured the Scottish National Party, while Scottish Labour benefited from well-earned low expectations which, with a little help from their friends at the BBC, allowed anything short of ignominious defeat to be portrayed as a great leap forward. The nationalists got incontestable mathematical superiority. Labour got a much needed morale boost. 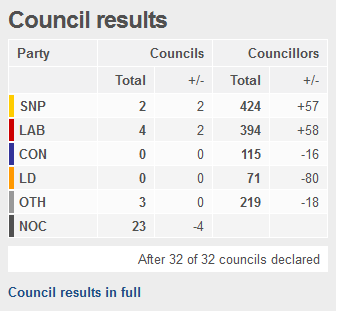 The anger was further stoked as BBC coverage of the results on Friday night and into Saturday persisted in portraying a Labour "victory" in blind denial of all the evidence which clearly showed that, in terms of any metric not distorted by the BBC, it was the SNP which had advanced. On some fronts, to a very significant degree. Oops! 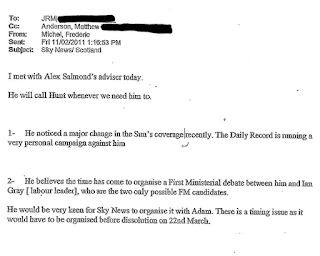 That's not Salmond with Murdoch! One might have hoped that the Murdoch circus would have moved on by now. Not the main event, of course. That still has a while to run. We haven't had the crowd-pleasing throwing of a minister to the lions yet. No! I refer to the side-show being staged specially for viewers in Scotland. 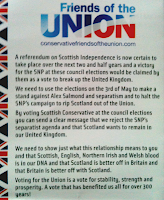 The one that's featured in the latest, local election special, smear campaign against Alex Salmond. These things usually have quite a short run. Partly because the public rapidly lose interest, having seen it all before. Mainly because the promoters, invariably the deceivingly named "Scottish" Labour, discover that their production is going to cost them dearly as the glare of the spotlight inevitably falls on them. 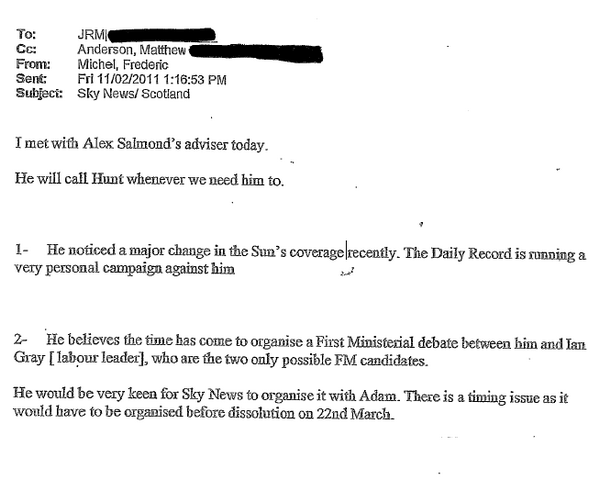 (Remember Anas Sarwar, deputy to Ed Miliband's Scottish deputy, and the fuss about the referendum consultation?) This one is being dragged out because it gets an occasional publicity boost from the goings-on under the Westminster big top and because it is contractually obliged to pad out Labour's otherwise rather underwhelming council elections road-show. This isn't really a proper blog post. More an explanation of why I now have three articles in draft form and am making no progress with any of them. On Wednesday 25 April I watched Donald Trump's appearance before the Economy, Energy and Tourism Committee of the Scottish Parliament. Those of you who also witnessed this circus will understand when I say that I disgusted and angered by Trump's behaviour. His arrogant disrespect for the committee, the Scottish Parliament, The Scottish Government and the First Minister was quite appalling. He came before the committee completely unprepared assuming that he could get by with nothing more than his pompous, over-bearing bluster. And when challenged to provide evidence to back up his increasingly deranged claims, he capped his ludicrous performance by declaring, "I am the evidence!". I am, by nature, by inclination, by training and by habitual practice, a rather analytical person. Those who know me well would probably scoff heartily at this as a bit of an understatement. They might instead suggest that I tend to take an issue, any issue, and methodically pick it to shreds before embarking upon a minute forensic examination of the fragments. I rarely take things at face value. 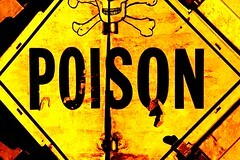 I nurture a healthy scepticism and a cynicism that would be rather less healthy did I not strive to keep it in check. I rarely accept that there are only two sides to a story and if I see no more than both sides of an argument then I reckon I am missing something potentially crucial. For me, every shade of grey is infinitely divisible and to fail to appreciate life's rich complexity is to be guilty of the kind of intellectual indolence that I deeply regret in others and abhor in myself on those occasions when, being but human, I fall into error. David Cameron's deputy in Scotland, Ruth Davidson, was recently reported as complaining that the SNP were not sufficiently focused on local issues in the council election campaign because they were more interested in the referendum on independence. Scottish Conservative leader Ruth Davidson has claimed that the Nationalists are trying to turn the local election campaign into a dry run for the independence referendum. I raised a more than slightly quizzical eyebrow at this in part because of a campaign leaflet I had received on behalf of a Conservative local election candidate here in Perth. A leaflet which contains a call to arms for unionists across the ward sandwiched between something about Perth City Hall and a curiously congratulatory piece about the SNP's protection of greenbelt land. The referendum campaign will start in earnest soon after the Scottish Government's consultation and the May local elections. As Scottish Conservatives we are proud of our Scottish heritage but equally proud to be British. Perth and Kinross and Scotland, remain fairer, stronger and richer in the Union.